This is the first exclusive interview for Bubble Visor. Let's hope this will be one of many. One of my favorite custom builders (Dirk Oehlerking) is interviewed by one of his close friends (Raphael Lutterkort). In this case the interviewer also is the Photographer. Great shots Raphael! Raphael: How long do you customize motorbikes? 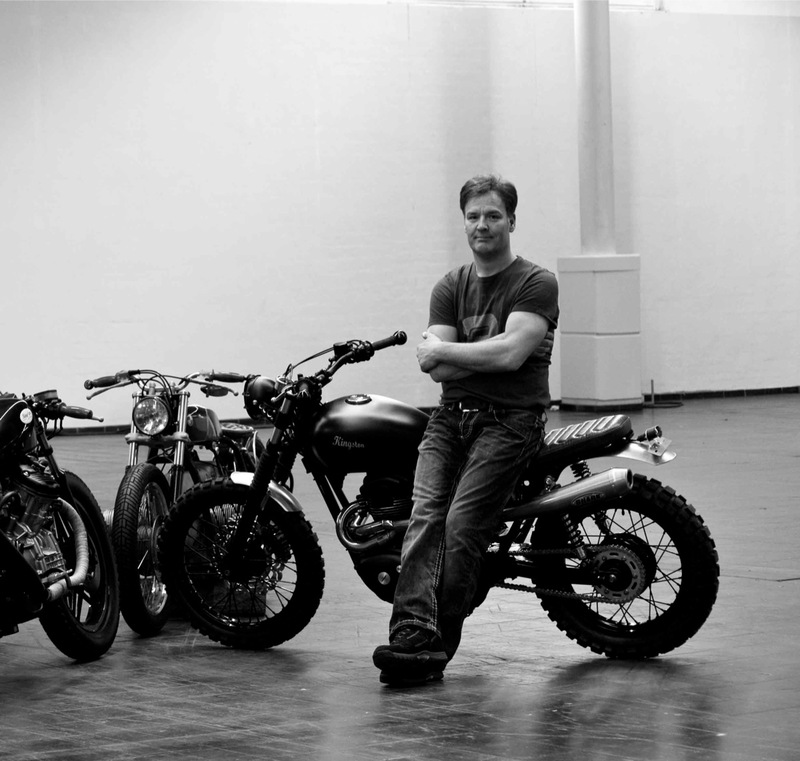 Dirk: I’m interested in motorbikes for 35 years. It all began with a NSU Quickly. At the age of 13 I had my first motorcross competition and in 1985 I become the German Enduro-Champion. I owned 36 racing machines and I had a Yamaha works agency for 10 years. I’m a bicycle mechanic-master and tinker on motors my whole life. Now I can put my whole experience and my creativity into my bikes. My thoughts have to leave my mind, that’s the reason why I build motorbikes. Raphael: Kingston Custom is able to say that they are one of the few customizers in Germany, who build this new fresh style. Why did you choose this kind of style? Dirk: It’s a developing process. It’s just important to have an objective. I start working when it’s dark outside and leave my garage, when it’s dark again. This kind of style, inspired from Japan / California / and Europe is so puristic and reduced designed but also really exciting. I work with bikes and parts, which have their own history and that has got charisma. That’s a big challenge for me, it’s passion. Raphael: What marks Kingston Custom–Bikes? Dirk: The great craftsmanship, I build most of the pieces on my own. I’m a perfectionist, everything has to work, the lines must align harmonically. Often I’m sitting in front of my motorbikes for hours and find things that I want to change again and again. Raphael: How is the feedback in Germany? Dirk: We are doing pioneering work in Germany at the moment. This kind of motorbike style is very new there. Most of the people react positive and they’re surprised how beautiful you can customize motorbikes. Raphael: Is it difficult to customize motorbikes in Germany? Dirk: Difficult? It’s a catastrophe, nearly nothing is allowed, everything has to be controlled by the TÜV-Authority. Everything which is beautiful is forbidden. To build a bike which looks cool and which is accepted by the TÜV, is very difficult. Raphael: Tell me something about your new project? 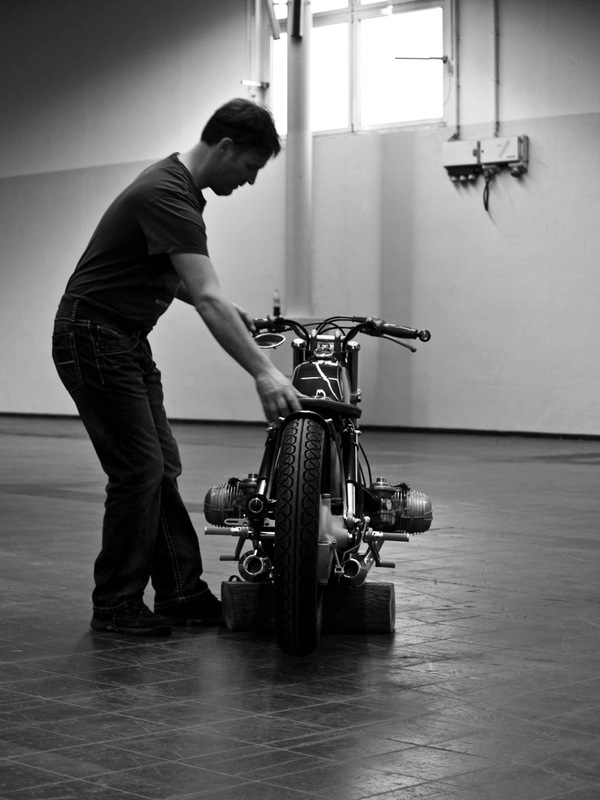 Dirk: I build a Sprintracer on the base of a Yamaha SR 500. The motor is unique in the world. It has got something to do with Porsche. But I’m not able to tell you more about this. Raphael: Ok Dirk, we look forward to it. 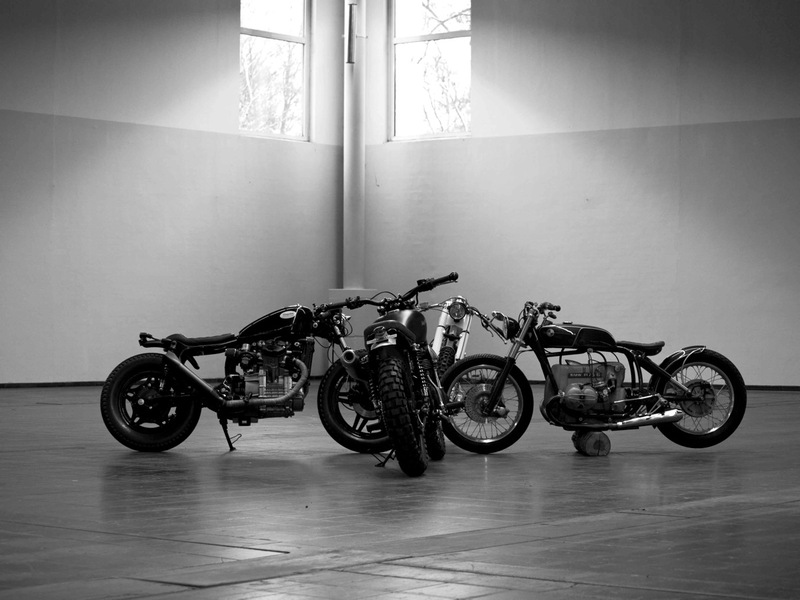 dWrenched -Home of the crazy wild motorcycles ad choppers - went to EMAT 2013 in Budapest.